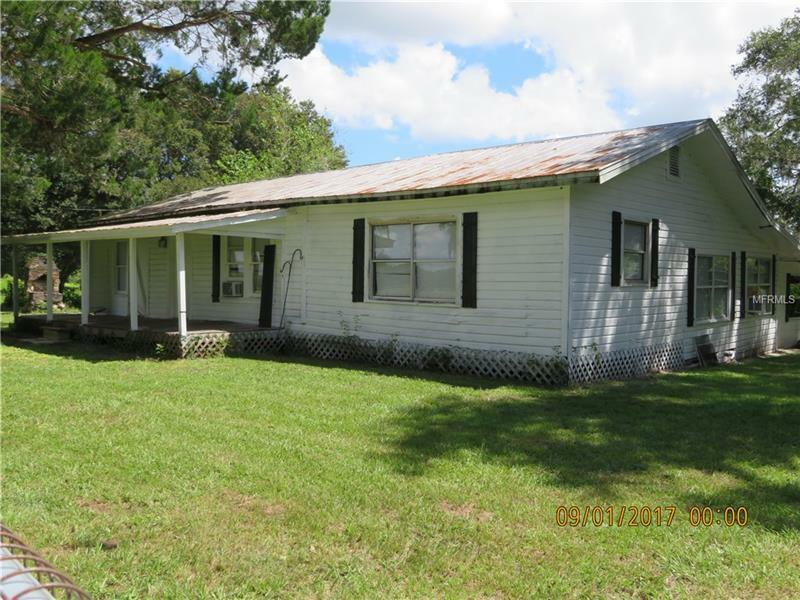 3/2 ON 4.5 ACRES, FENCED AND CROSS FENCED WITH A HORSE STALL ON PROPERTY, STALL COULD USED FOR FARM EQUIPMENT OR STORAGE. WOUKD BE PERFECT FOR YOUR LITTLE "FARM", BRING ALL OF YOUR ANIMALS. FLORIDA STYLE HOME. NEEDS TLC. POSSIBLE OWNER FINANCE. CORNER LOT ON TWO COUNTY MAINTAINED PAVED ROADS. BRING ANY AND ALL OFFERS.